I was thinking the other day about amazing books, you know the ones, those books that you just cant put down because you’re so into the story and the characters and you need to know what happens next… and I realised that they have a huge downfall for me and I thought I’d share, cos I’m kind like that! The one big downfall Ive noticed is that whenever I finish an amazing book I have a book slump straight after it, nothing compares for ages and it is sometimes a terrible feeling! This was definitely the case last week, I finished Pink by Lile Wilkinson, I loved it so, so much and I couldnt put it down, finished it in a few hours and wwas left in awe… so what did I do next, I went to pick out another book, thought I’d get my pile of netgalley books down a bit and read one of those, I picked Zero by Tom Leveen and started reading. 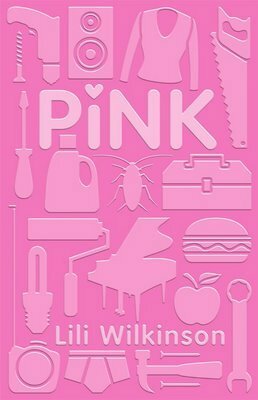 I read about five pages but couldnt stop thinking about Pink and its awesomeness, I couldnt get into Zero and didnt even want to read it. It took me four days to get 30% into Zero, which is terrible for me. Then I gave up. I think part of it was the fact that Zero really wasn’t a great book, I probably would have struggled with it even if it didnt have to live up to Pink, but still, it didnt have a chance. I have had this problem a few times and often have to read quick reads that I know I’ll enjoy but will be over fast, or books that I think will match the previous book, after an amazing one. I think after I read divergent I picked up Ten Things We did (and Probably Shouldn’t Have) because I knew Id love it in a different way, and then after the two of them I picked up The Considine Curse because I knew it would be a quick, enjoyable read to get me over the awe. I thought I’d share this with you and ee if anyone else feels the same, do you read something that totally blows your mind and then struggle with your next book? I know its a bad comparison as I probably wouldn’t have finished Zero anyway but still, I know it was made worse because of how much I loved Pink! That’s a really valid point. I find it the other way. If I read something awesome I tend to read a few more fab books after it. But if I read something I don’t particularly enjoy I struggle with the next books unless they are mind blowing. I am the same as Emma. If I have read something awesome, I definitely head straight into the next fab book. Yeah I totally get you. I read the Demon’s Lexicon series by sarah rees brennan for the first time over a week ago and it was SO good that it’s sent me into an immense bookslump. I seriously have only re-read books since then…I tried to read shattered dreams off netgalley and was just not enjoying it. I think this is especially relevant for book bloggers b/c it might affect our reviews if we read like this! I think reading stuff we’ll love for a diff reason, like a contemp followed by a fast paced dystopian is a great idea tho!